LSI is a market-leading software company that helps academic institutions create effective digital solutions for teaching and learning. Our primary customers are higher education institutions, student-facing technology companies, higher education and K12 publishers, and joint programs dedicated to providing online educational content to members of organized labor and their families. We are located in Tampa, Florida, a few miles from the University of South Florida, which has excellent engineering, computer science, and mathematics programs and provides LSI with many of its employees. Over its 15 years of operation, LSI has created several unique and powerful technologies that facilitate the delivery of education over the Internet. We specialize in mathematics, technical, and scientific markets, the most critical with respect to student success and the most difficult to share and monitor online. LSI is recognized by a variety of educational institutions for its ability to develop customized, highly-scalable, and mobile-friendly online learning software platforms that meet the unique needs of each customer. Our partners and customers have come to value and trust LSI because we are the only company that offers a complete suite of interoperable digital solutions that address the entire life cycle of the student’s educational experience. Vincent Forese is President and Chief Executive Officer, and is involved in all facets of the company, including sales/marketing, product development, and operations/finance. A graduate of Bentley University with a B.S. in Accountancy, Mr. Forese has served in an executive capacity in several other start-ups. He currently lives in Tampa, Florida with his wife and four children. CEOCFO: Mr. Forese, what is the concept at Link-Systems? Mr. Forese: Link-Systems is a twenty year old educational technology company. Our purpose here is really all driven towards student success. We are the only company that has a holistic suite of technologies, platforms and services that are all dedicated to helping students that might not have gotten all of the course skills required to be successful in college. That would be true, especially for students who need some form of remediation, such as students who are going to open enrollment community colleges or some of the open enrollment in for profit schools. We help them, through a number of technologies and services, get through the reading, writing and arithmetic that are so key to being successful in college. CEOCFO: How have you amalgamated or been able to put together all of the different methods and the different systems? 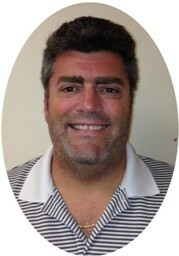 Mr. Forese: The company was started many years ago by some math faculty at the University of South Florida. There were really interested in how we can teach mathematics online. At the time, instant messaging was starting to become popular. This is in the late 1990s. Therefore, this idea of being able to reach people in real time over the internet was fascinating to many people. Of course texting and instant message were fine in certain subject areas. However, if you wanted to do anything in stem subjects or anything in business or economics or something that had a quantitative or visual component of the content, you were virtually out of luck. Therefore, the folks at USF with some of the of their faculty and grad students, many of whom still work here, invented our first flagship product, which was called the WorldWideWhiteboard. The WorldWideWhiteboard at the time, was very innovative. When we came out with this it let you do live, real time, one on one to many collaborations. This was when things like WebEx were still in their infancy. However, unlike some of the products that are really designed for professionals, we have a power point to present to you who are potentially my customer. We are going to have some audio and video. However, this is really designed for me to demonstrate or present pre-canned content. The WorldWideWhiteboard really had this fascinating open ended interface that was just a blank canvas that had a bunch of tools designed for drawing mathematic equations such as square roots and fractions and free hand drawings and graphs; all kinds of things that a math teacher and a math student would need to communicate. The canvas was blank, so that when the student came in it was, perhaps I had a PowerPoint where I wanted to the student about a pre-canned lesson and there was certainly some audio and some video components to it. However, what really differentiated is at the very beginning was the ability for an instructor or a tutor to say, “Are there any questions?” and then the student raises their hand virtually and the teacher says, “Okay, what can I help you with…” and now you throw your script away. Therefore, you do not know what the student is going to ask. You do not have a PowerPoint ready. The student says, “I do not understand how to simplify fractions.” Now, you have to explain that to him, but not be in the same room with him. Therefore, this WorldWideWhiteboard was a very, very powerful tool. Shortly after that was developed we built an entire service model around it, which is our NetTutor Online Tutoring service, where we use that same technology. However, rather than license it to a school so that their tutoring lab or that their instructors can use this, this is sold as a service, so that schools can hire us and we provide 24/7 three sixty five tutoring services, which is a lot like a homework helping service. Many community college students are older, working adults who are going to school part time. There are many weed out classes, even in the four year schools, where if you are trying to get a marketing degree, you still need to pass an accounting class. CEOCFO: Do your offering comes through the colleges themselves, as opposed to one on one with a student? Mr. Forese: We have three basic models. One is that most of our products are available online. If students cannot find a way to gain access to them, they could always come online and use a credit card. We do not consider ourselves a consumer oriented company in that fashion. We do not market to consumers. We assume that money is tight for most college students. Therefore, while it is an offer, it represents less than one percent of our revenue. The second and most popular model is that we partner directly with the institutions themselves. Therefore, some really, really big for profit schools, many community colleges and some private Christian colleges and some other small virtual high schools; they come to us. They cut a deal where they license our technology or they subscribe to our service. Then they decide how that is distributed to their students. In some cases, schools that have the money just make what we do available to all of their students. In some colleges, every student for every subject has access to the NetTutor service. CEOCFO: Do you find that some colleges are reluctant to give up something that their staff has been doing, even though it seems to be for the greater good? Mr. Forese: Having done this for twenty years, I can tell you that that answer used to be one hundred percent true. Tutoring lab coordinators where worried that somehow we were coming to steal their jobs. Instructors were thinking, “These students are taking my class. How could I possible let someone else teach them?” I think that was very prevalent. However, a few years ago we started to reach a real tipping point. The accreditation organizations have chimed in on this. School presidents have chimed in on this. I think that now there is a general sense of, “We need the help. We do not have enough resources here to do this all by ourselves.” Therefore, looking externally to companies like us is now generally accepted. One of the things that we do that is unique is that our tutors are not in India, using their degrees from India to teach the students that this is how you add fractions or subtract fractions. We work with very customized rules of engagement with the schools. The chair of the math department will sit down with our tutoring folks and they will decide, “Here are the rules of how you help our students.” That varies from school to school, so that when each student comes in, I know if this student is from Delgado Community College in New Orleans and I am now going to give them a very specific type of tutoring that may differ drastically from someone who goes to another one of our schools. CEOCFO: Are there many or any competitors with the same depth as Link-Systems? Mr. Forese: In each space there is. Therefore, in online tutoring Pearson Education offers a product. There are other large companies that have a product. However, those tutoring companies do not license their technology the same way that we license the WorldWideWhiteboard. The WorldWideWhiteboard has its customers, Adobe has a product and Blackboard has a product that compete very aggressively from feature to feature. However, they might now offer one of our other products or services. Therefore, while at the product level, there is certainly a dose of healthy competition, and of course the market is still so young in its infancy. However, we are really the only company that has this true holistic offering that could attack the problem in many different directions. CEOCFO: What is your revenue model? Do schools pay based on usage? Is it a flat licensing or fee? Mr. Forese: On the software side, it is very typical; it is built on an annual licensing model. The size of the license is really dependent on how many students that they expect to use it. If they are going to have it in a small group setting, it will be a smaller price than an enterprise level offering at school. On the tutoring services side, we typically have an hourly rate. That hourly rate is billed in one minute increments. Therefore, if you use six minutes of tutoring then you only pay for six minutes. You do not pay for the whole hour. One of the other things that really differentiates us is that we do not have set up fees or training fees. With many of our competitors, if you do not use your hours within the first year, you have to pay a twenty percent premium to roll them over. If people want to buy down the hourly rate, they can do that by paying up front for the hours. However, those hours are good forever. CEOCFO: What do you look for in your teachers, instructors or tutors? Mr. Forese: We refer to them as online tutors. Obviously, we look for a proven academic success. They have to bring us their transcripts. They have to have minimum grade point average criteria. We give them a pretty rigorous full day test. They will spend all day, six to eight hours, taking a test. By the way, part of that test is just to prove the proficiency that we are already know from their transcripts, but part of that is just to watch them sit in a room for six hours taking a calculus test. That is because, if you do not enjoy a six hour calculus test, how are you ever going to enjoy tutoring for eight hours a day? That is kind of the “weed out” qualification. Then it really just boils down to personality. You need to have a little empathy. If our typical customers are community colleges, that means that you are going to have a thirty five year old mother of two going back to college. You are going to have a lot of Vets coming back from the Middle East, who are now using the GI bill to go to college. These folks might be struggling in non credit basic math classes and here our tutors are with a master’s degree in mathematics. That is a pretty deep disconnect relative to skill set, there. However, if we hire nothing but the most caring, empathetic tutors. In many of our tutoring sessions, if you look at the transcript, you will see things like “Do not worry, we are going to get through this together,” and that is confidence building. The learning how to add the fractions and the learning how to plot points on a graph. That is stuff that is giving the fact that these students are coming to us on their own asking for help. We have a ton of confidence that these folks succeed. We have done some studies that prove that we can increase retention by as much as eighty percent with the use of NetTutor. However, the best part about it is that we have students who see this resource, they come to us, they tell, “I do not understand this, I have not done this since sixth grade.” Then we grab them by the hand and we start down a path with the learning process. That is why ninety-seven percent of the students who use our tutoring service come back a second time. A large percent come back multiple times over a particular course. CEOCFO: Would you tell us about the recent acquisition of ComFit and what that adds for you? Mr. Forese: Again, we were founded as a math company back in the 1990s. As a result of that and through our connections, we started to get into much of the other stem subjects and all of the earth and life sciences, all of the engineering courses. We started to get into business and economics. Therefore, we really had a wide variety of these quantitative subjects we covered. About six years ago we added a new feature which is our paper critiquing. Therefore, now students can upload a paper. You can submit the paper within twenty-four hours and we will give you a review with our virtual red pen. Again, often with specific rules of engagement that we have negotiated with you school, we will help you with your punctuation and we will refer back to your handbook. However, that tutorial service was the only thing that we really did in the language arts and humanities. ComFit has a fantastic product. It was originally called Writers Workout. It has eighty five thousand individual questions that are designed to help students remediate in reading and writing. Therefore, if you are taking a class, and for instance, you are a community college student and you are taking English Composition I. It is your first class, but you are still lacking some basic skill set, you can certainly submit your papers to NetTutor and we will come directly back to you with some specific feedback. However, what if you do not even understand the feedback. What if you see the word “comma splice” and you go read about a comma splice, but it is the first time that you have had that? Now, we have this entire new offering with ComFit that will let you go in and at a self paced level, you can practice and learn these things to help you catch up. There is a great diagnostic, so that you can take a preliminary assessment and it will actually help you figure out what it is that you do not know and then guide you to some exercises to help teach it to you. CEOCFO: Do you see additional acquisitions or is that more opportunistic? Mr. Forese: We are still a relatively small company. We did under $10 million in revenue last year. We have some expectations that are going to grow and part of that growth would certainly be based on upon some acquisition. ComFit was a pretty small company. Therefore, I see us doing a couple more of those in the next eighteen months. However, again we have no external investment. The company is completely self-financed. Therefore, we would love to do them. We are certainly looking for more to do. However we will, as always, be very cautiously optimistic about how we proceed and always remain somewhat fiscally conservative. CEOCFO: How do you reach colleges? Do they pay attention? How difficult is it to get an audience? Mr. Forese: We have the luxury of having been around for twenty years. Therefore, I think there is certainly some, I will not say brand awareness, because we certainly have not done any kind of consumer marketing, however, I think most people at most colleges have already heard of us. We do have a large number of existing customers, plus we have fantastic relationships with some of the largest publishing companies in the world. There is also a fantastic network of tradeshows. The math people in this country have their tradeshows. The science people have their tradeshows. Therefore, I would say that it is pretty easy to get to people and it is pretty easy to have a meaningful conversation with them, as is often the case. It is just a matter of them being able to fund it. Sometimes we find people who are in the decision making process and we can have a deal in place with them in a couple of months. Other schools will tell us that they love it and they absolutely want to do it, but they are going to have to submit it into next year’s budget or they are going to apply for a grant to try to fund it. That is because in light of some of the economic problems that that county has had in the last decade, the schools funding was drastically affected. However, as I mentioned, more and more and more, this is becoming a mandatory line item in their budgets. That is because tutoring may cost some money. I was just talking to a community college here in Florida not too long ago and they said that only thirty percent were graduating with a two year degree within four years and something like sixty percent were staying enrolled for more than two years. Therefore, if you could support these students and keep them in school, that would go a long way to fixing some of the money problems that many of these school are having. CEOCFO: Why does Link-Systems standout? Mr. Forese: We have a few things going for us. Number one, we have been around for quite a while, so this is not a new guy with a new idea who is coming in with a whole bunch of venture capital money, waving their arms really loud so that people can see and hear them. We are based purely on substance. We probably have about one hundred and fifty people here. I want to say that out of my top twenty managers, fifteen have been here ten years or longer. Therefore, there is a great commitment to this company from the employees that work here. I think that reflects in how we do business and how we price our products. However, going back to what I said earlier, I think it is just the holistic message that we can deliver that says that we do not just do one single thing. We offer a suite of products, but all of those products are all designed to do the same thing. That has really helped students remediate quickly, helped them pass the classes that they were otherwise going to struggle in, enable them to retain things, so that when they come to school semester after semester, ultimately getting them to some type of degree. Presumably, we let go of their hand at that point. Then they get a better job, they pay more taxes and they raise college educated children. Therefore, I think our message really resonates well with many of our current customers and many of our future customers.